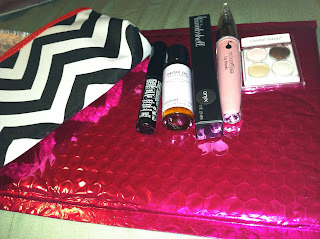 My My Glam / Ipsy Bag FINALLY arrived! Wahoo! It DID come in the magenta pink bubble envelope that I love! 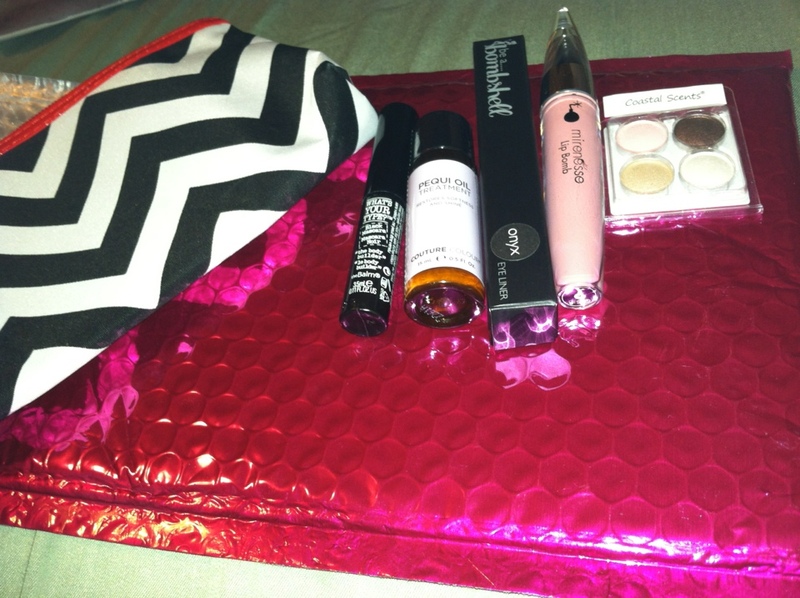 The bag this month is super cute! It is black and white with a red zipper detail on the top. I love it! Clearly, even without giving the bag ANY value (and I think it has a LOT of value), the value of this bag was: $53.08!!!!! for $10!!!! And all items that I definitely want to try! Love everything this month! I haven't tried these types of boxes, but do you think it is really worth it? Are there months when the content is not so ok? I have never had a month I did not love MyGlam/ Ipsy. I cannot say the same about BirchBox. You can search through my previous posts for MyGlam and see all of the boxes I have gotten. They have been just as nice every other month as well. I just tried Ipsy and Birchbox for the first time this month....Ipsy BLEW Birchbox outta the water, I even tweeted to Birchbox about how disappointed I was, they sent a PLASTIC bag versus the cute little tote Ipsy sent.